Truly, this is a sad week in geekdom. The anime world lost one of its great, a man that was and possibly is a legend in and around anime circles. 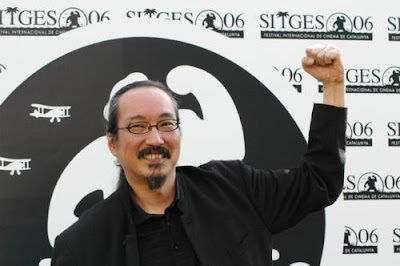 The Japanese animator, Satoshi Kon, passed away this week at a young age of 47. Kon created such titles as The Perfect Blue (possibly my favourite anime movie), Millennium Actress, Tokyo Godfathers and Paprika, as far as full length features go. He was skilled in blending together adult themed storylines with a distorted dream-like tapestry all the while connecting to the audience with its emotional grab. When I think about who my favourite animator is, it falls between Hayao Miyazaki and Satoshi Kon. Well ff it can be considered a deciding factor, I have all of Kon's movies on DVD but not all of Miyazaki's. I am saddened that we will no longer see new ideas, new creations and new worlds from the mind of this master artist. But life is what it is and we have what we have. So thank you for that. Rest well Mr. Kon and peace be to your family and your friends. I just watched Paprika after hearing about him, I had never heard about him or his movies before, and I was blown away. I think I'm going to take a break from regular anime and watch some of these movies now.